Enjoy the top 1 famous quotes, sayings and quotations by James Augustine. Coach Bruce Weber told me in a meeting that all I have to do is play pretty well. The rest of the guys are doing well now. It takes a lot of pressure off Dee and especially myself. Luther and Deron and all the assists and rebounds and all the points that were lost, somebody has to make them up. In reality, you can't do all that. Want to see more pictures of James Augustine quotes? 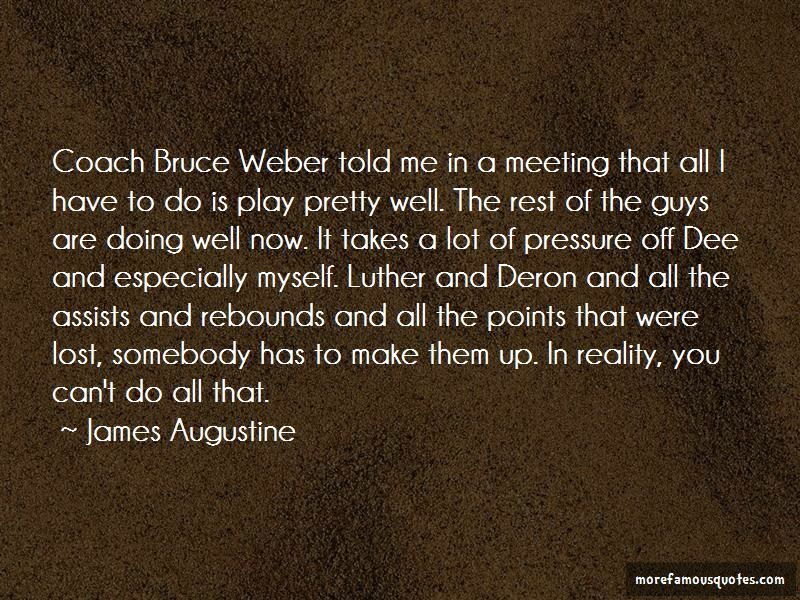 Click on image of James Augustine quotes to view full size.